1965 Corvette Stingray In Ermine White With Black Interior. Powered By A Numbers Matching 327 365HP V-8 With Only 55K Miles Coupled To A Four Speed M20 Transmission. 1965 Was The First Year For Four Wheel Disc Brakes And This car stops on a dime. 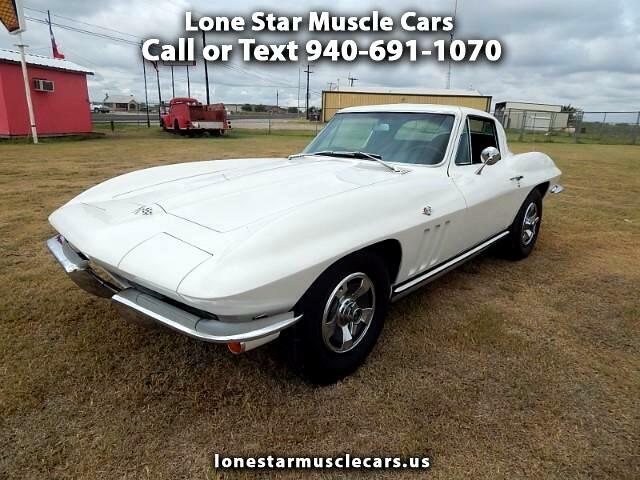 If You Are Looking For A Numbers Matching Low Mile 1965 Stingray This Is It. Also I Have The Original Holly Carb And Chrome Air Cleaner.